The Joint Committee will meet with the NI Under Secretary of State in Belfast this Friday (27th April) to discuss the human rights and equality impacts of the UK Withdrawal from the EU. Parliamentary Under Secretary of State for Northern Ireland, Lord Duncan, will meet with the Joint Committee, which was established under the Belfast (Good Friday) Agreement to consider human rights issues in the island of Ireland, is made up of representatives of the Irish Human Rights and Equality Commission and the Northern Ireland Human Rights Commission. Lord Duncan will provide an update to the Joint Committee on the UK Withdrawal from the EU. The Joint Committee meeting will be hosted at Stormont House, Belfast, and will consider a list of issues related to the UK Withdrawal, including a Common Travel Area, UK-EU Justice Cooperation, north-south equivalence of rights, and immigration checks. The Committee will also seek to develop its future programme of work. “We are pleased to host the Joint Committee in Northern Ireland at this crucial time. We welcome the engagement with Lord Duncan, particularly given his role in dealing with the EU Withdrawal Bill in the House of Lords. The Commissions recognise the importance of maintaining the equivalence of rights across the island of Ireland outlined in the Belfast (Good Friday) Agreement, and the commitment of the EU 27 and UK government to maintain the Agreement. We are keen to see how this can be maintained in practice. Our goal is to ensure no diminution of human rights protections for anyone. “The peace process was built on a shared vision of equal rights and equal respect on the island of Ireland, as framed by the Belfast (Good Friday) Agreement. The work of the Joint Committee is focused on enabling all sides of Brexit to ensure that their stated commitment to the Belfast (Good Friday) Agreement can be carried through to the final deal. 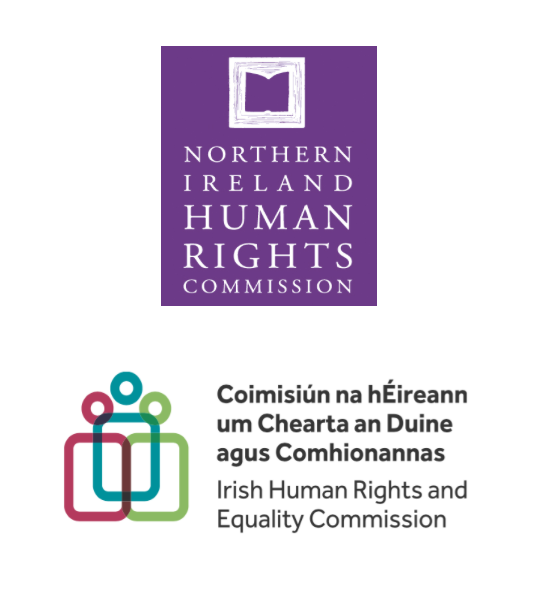 The Belfast/ Good Friday Agreement‘s section on rights, safeguards and equality of opportunities, provides for a joint committee of representatives of Irish Human Rights and Equality Commission and the Northern Ireland Human Rights Commission, as a North-South forum for consideration of human rights issues in the island of Ireland. In March 2018, the Joint Committee released a statement on the human rights and equality impacts of the UK Withdrawal from the EU, and also published a commissioned paper on Brexit issues following the 8 December agreement between the EU 27 and UK government.